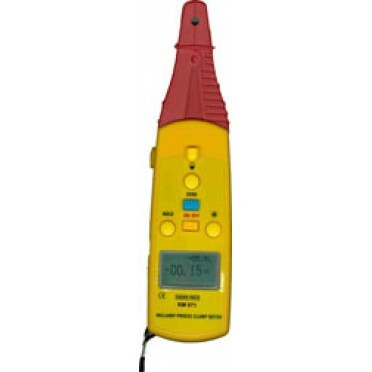 The KM 071 Digital Process Clamp Meter is a Hand-held battery operated clamp meter that measures 4-20 mA DC without breaking the electrical circuit. Unlike conventional clamp meters, this meter features a small jaw that easy to reach any place there is a cable carrying with a current. This meter takes a magnetic modulated technology, it can reach excellent sensitivity with great anti Earth Magnetical Field ability.